Most Americans aren’t satisfied with their current homes. Less than one-third of Americans would move into the same size home that they already own, fluctuating whether or not they would want it to be bigger or smaller. Older Americans typically want to downsize their homes while younger Americans are looking for larger houses. We think that no one can be dissatisfied with a beanbag. Bean bags can be used to provide extra seating in your home. Using bean bags will create extra space in your living areas. Kids and bean bags go hand in hand. They can play in them safely, read a book, or watch TV from their comfy seat. Bean bag chairs for kids now look even more refreshing than ever. The most important thing to look for when it comes to bean bag chairs for your kids is that they’re safe. Make sure they use non-toxic materials and present no choking hazards. Most importantly ensure they’re comfortable and easy to maintain. Once you’ve made sure that everything is in the clear, you can let your imagination run wild. This panda bean bag chair is guaranteed to be the cutest one in the house. You can even take it outdoors with you to play in the park, and machine or hand wash it if it needs a refresher. The chair has a safety zipper that’s inside the beanbag, so you don’t have to worry about accidents with very young children or pets. If you’re trying to make a more sophisticated room but still want your kids to have fun, then the ottoman chair bean bag is the perfect choice for you. It’s super comfortable but also looks like a regular ottoman, except for the fact that it’s a little lower on the ground than the average chair. It’s soft and safe for your kid and looks tasteful in any room, so you can keep it with you as your kids grow up. Teach your kids the alphabet in comfort with a mini alphabet bean bag. Once they learn, they can chill out in this bean bag and read a book. Add it to a playroom or a game room for a great place to relax. The Mini Alphabet bean bag is constructed using durable polyester that can withstand the roughest levels of play, from pillow fights to anything your kid’s imagination dreams up. A floral bean bag is just what a girl needs to match her room and give it that finishing touch. Add it to a place that’s already full with a flower them, or use it as an accent piece to make it pop. Either way, you’re getting a super trendy beanbag that can withstand the test of time, and transition from the early into the teen years. Choosing prints that work with many ages can help you save money when it comes to having to buy new furniture later on. This bean bag makes the perfect addition to any room, children’s or not. This smart looking striped bear will ensure your kids can enjoy the cute themed chair in any room of the house. It’s also black and white, which means it fits in with most decor with ease. The shape of a regular neck pillow but much, much more significant, this shape is both fun and ergonomic. If you have a room that’s tight on space but still needs a touch of comfort, this bean bag is the answer to your problems. About 85% of kids aged fourteen and above have a cell phone. And if you have a kid, you’ll know that they’re on their phone most of the time. Take their attention back to the real world by giving them emoji shaped furniture. It’s trendy, it’s comfy, and it’s cute. These emoji bean bags might earn you a smiling emoji. This bean bag is one of the comfiest lounge chairs you can buy. Add it not only to your kid’s room but an office as well if your back needs a rest from the uncomfortable chairs you are currently using. This bean bag isn’t your average bean bag chair. It provides storage for your kid’s stuffed animals. Instead of being filled with beans or peanuts, you stuff this bean bag with stuffed animals, doubling as a storage unit. It solves the problem of your kid having stuffed animals lying all over the house, and gives them a practical use. When your kid outgrows their stuffed animals, you still have a beautiful beanbag and a place to store all their plush toys. It’s comfortable and functional and comes with a handle that makes it easy to transport. You can also store blankets and towels inside, as it can fit up to 200L of filling or store up to 80 stuffed animals. This luxury bean bag is literally like sleeping on a cloud. It’s sleek and classic and adds a more upper-class vibe to any kid’s room. At the same time, your children will love it because of how comfy and plush it is. 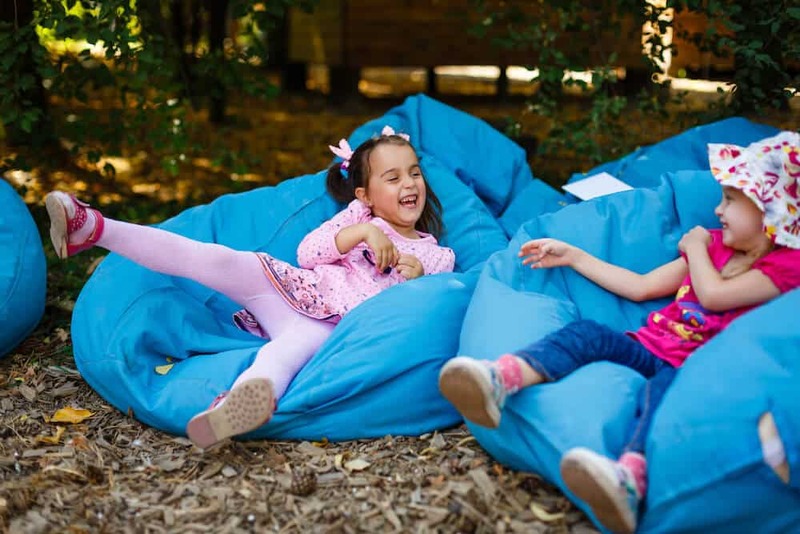 It’s not every day that both you and your kids can be happy, but this bean bag provides the perfect amount of fun and comfort that can achieve that balance. Get more than one and create a whole themed room with these beautiful bean bags as accent pieces. Increase your satisfaction with your home not only by getting bean bag chairs for kids but by getting one for you, too. It’s one of the most simple and easy ways to update your home without breaking the bank. It also ups the comfy factor of your home by making it look more relaxed and put-together. 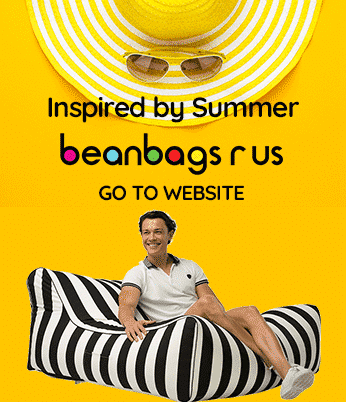 Get your inspiration by shopping around online – choose from a long list of well-reviewed beanbags, and you can’t go wrong.